Robert Kothen was born at Schaerbeek-les-Bruxelles on 14 February 1900 into a family of pharmacists. In 1919, Jacques Meert recruited him to a study circle at Saint-Marie parish in Schaerbeek of which he soon became president. Soon he was also writing articles for La Jeunesse syndicaliste. By this time, Robert was also studying pharmacy at Louvain. But after doing his military service in 1922-23, he felt the need to "place myself at the service of the Church, to follow Christ". He entered the Leo XIII Seminary at Louvain and was ordained on 26 December 1928. 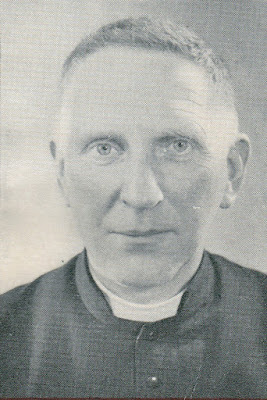 Since Cardijn considered that the YCW already existed from 1912, even though it did not have the name, it is probably fair to describe Kothen as the first YCW leader to be later ordained as a priest. 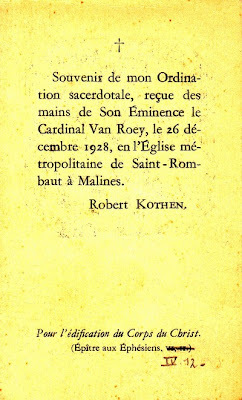 Although Cardijn wanted him immediately as an assistant, Archbishop Van Roey named him as a teacher at the Institut Saint Boniface in Brussels. At Easter 1932, however, he was named adjoint chaplain general to the JOC assisting Cardijn. Henceforth, he would develop contacts across the world for the YCW where he worked until the war came to Belgium again in 1940. With the YCW in crisis, Cardijn asked him to take another position with the archdiocese. 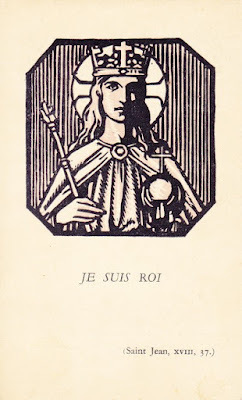 In January 1941, he was named chaplain of the Monastery de la Visitation de Lenninck-Saint-Quentin near Brussels. He continued his work with a Catholic Action organisation of pharmacists and devoted himself to writing. In September 1955 he suffered a stroke and he died in hospital on 15 December that year.